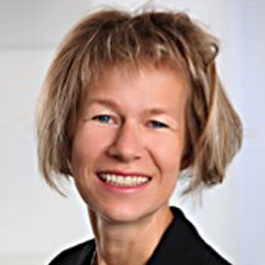 Dr. Ingeborg Schumacher Hummel is founder of Responsible Impact Investing and consults institutional clients and asset managers on the development and implementation of a RI strategy. She brings more than 20 years experience in Sustainable/ Responsible Investments, including 12 years at UBS Asset Managements to develop the SRI funds at UBS. Beside a PHD on the „role of pension funds in Socially Responsible Investing“ she built up a center of excellence for foundations and implemented a strategy of Responsible Investing for two private banks. Since several years she is an expert in Mission Investing. Beside client mandates she is organizing workshops, publishing articles and working on research projects. As a member of the board of Forum Nachhaltige Geldanlagen she has initiated a series of events „FNG Dialog“ and regularly moderates panel discussions.